During his tour with Julio, Camilo had the pleasure of sharing the stage with international artists such as Alexander Kogan, Alexandre Pires, Paula Fernandes, Antonis Remos,Sally Yeh, Liel Kolet, Sherina Munaf, Caroline Campbell, and many more. Camilo continued to tour with Julio several years playing historic venues like Carnegie Hall in NYC, the Tokyo Dome in Tokyo, Royal Albert Hall in London, and many more. In late 2014, Camilo began touring with latin actor/artist Jencarlos Canela, traveling the US, Canada, and some of Europe. Camilo was also the houseband guitar player for the latin hit TV Show CHARYTIN Y FELIPE SHOW during its entire running time. In the show, he had the opportunity to play with artists such as Gilberto Santarosa, Olga Tanon, Cabas, Fanny Lu, Charlie Zaa, and many more. In 2015, he began touring with latin artist Diego Torres. Camilo has also performed with Sofia Reyes, Teedra Moses, Daddy Yankee,Marger, Dudu Fisher, to contemporary christian artists like Marcos Yaroide,Ricardo Rodriguez, and Blest. Camilo's recording credits include Frank Quintero, Marcos Yaroide, Grupo Treo, Zondre & Unstoppable Praise, and many more along the side of grammy winning artists and producers. Born in Bogota, Colombia to a family of musicians, Camilo Velandia grew up with so much music inside that it inevitably had to pour out. 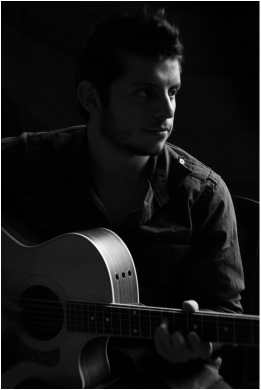 With a natural musical talent, Camilo studied piano, violin, and guitar from the age of four. Upon graduating from high school and studying with some of the nation's well known players like Jonathan Kreisberg, Mitch Farber, and others, it wasn't very long until Camilo was playing music professionally four to five nights a week and recording sessions for local artists in South Florida along the side of many grammy winning producers and artists. Soon after, Camilo was offered the opportunity to work with Three-time Grammy Winner and internationally acclaimed singer/songwriter Jon Secada. Camilo toured several countries with Jon and got to play for large audiences in the United States and South America, and Asia. Despite his young age, he was offered the opportunity to join the top selling latin artist in history, Julio Iglesias, in his 40th anniversary world tour. With Julio, Camilo visited over 40 countries in nearly every corner of the world. He performed in stadiums and arenas for audiences of up to 250,000 people in over 40 people. "We've had the pleasure of working with Camilo with Julio Iglesias for four years, touring the world. 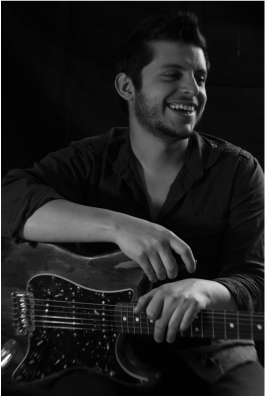 Camilo is an unbelievable guitarist with a special gift and one of the most professional musicians we've been associated with." "He can fill any guitar opening anywhere regardless of the musical style. He is one of the best!"